How do I Know if My Child Needs Pediatric Therapy? We are all unique, with our own individual collection of quirks and traits that make us who we are. Sometimes, however, an issue that arises in early childhood can seriously impede our future development, socialization or physical function. Let us look at some ways to determine whether your child might benefit from physical therapy. 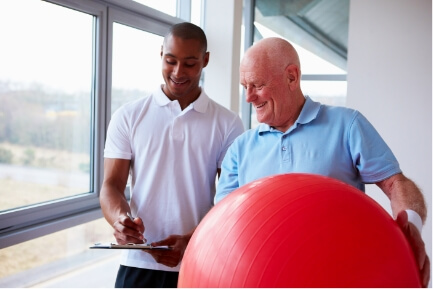 Contact Partners in Physical Therapy today to schedule a consultation. “W Sitting” – Does your child sit with his or her lower legs tucked outward, essentially forming a W shape on the ground? This “W sitting” appears harmless enough, and it does not cause your child discomfort. But it is a sign that your child’s core muscles may not be as strong as they should be. Poor core muscle strength (in either children or adults) can affect balance and coordination while also raising the risk of injuries. Slouching or stooping – If your child tends to slouch or stoop over, the muscles that support the trunk and/or neck may be weak. Chronic postural problems can lead to spinal misalignment and muscle strain. Walking or stair-climbing abnormalities – If your child is not walking or climbing stairs normally, he may need a physical therapist. Children who tend to walk on their toes all the time, for instance, may be contending with balance or muscle problems. Children who are unable to go up or down stairs one foot at a time by age 4 may have coordination or developmental issues that need to be treated. Whatever challenges your child may face, our physical therapists are ready to help. Call Partners in Physical Therapy today at Lake Charles, LA center for an appointment!